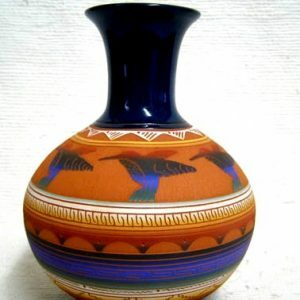 This classic shape is a standard for the Native American Navajo potter. 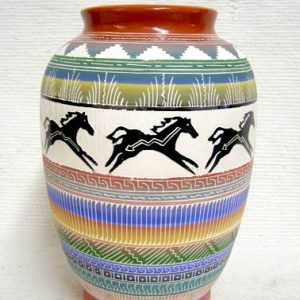 A great example of Navajo red clay etched pottery. 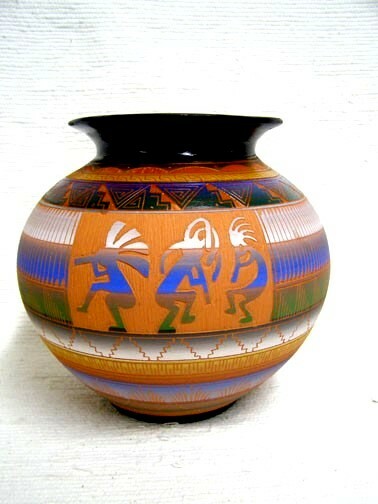 This pot has a frieze of three Kokopelli dancing on the shoulder of this traditional water storage vessel. This beautiful piece IS glazed inside & CAN hold liquid. Signed by the artist. 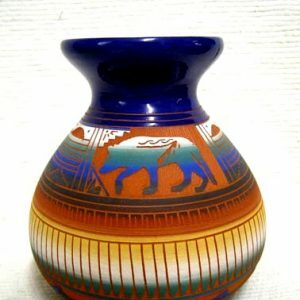 This pot measures 9 inches tall x 9 inches in diameter. 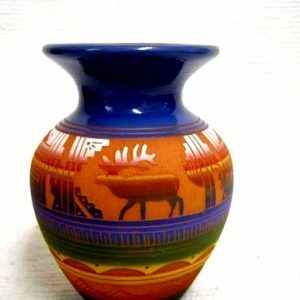 This Navajo pottery is authenticated by the artist’s signature on the bottom of the pot.